Overall size: 360 x 235 x 750 mm. Top makeup bag can be separated. 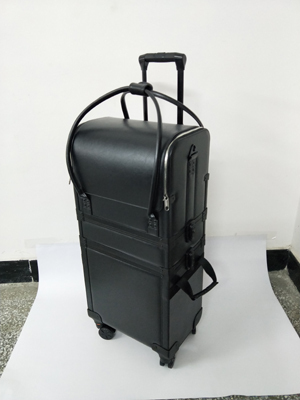 The bottom storage case(360 x 235 x 350 mm) for large items. Push button trolley and case on detachable swivel wheels. One piece per master carton / about 0.107 CBM.